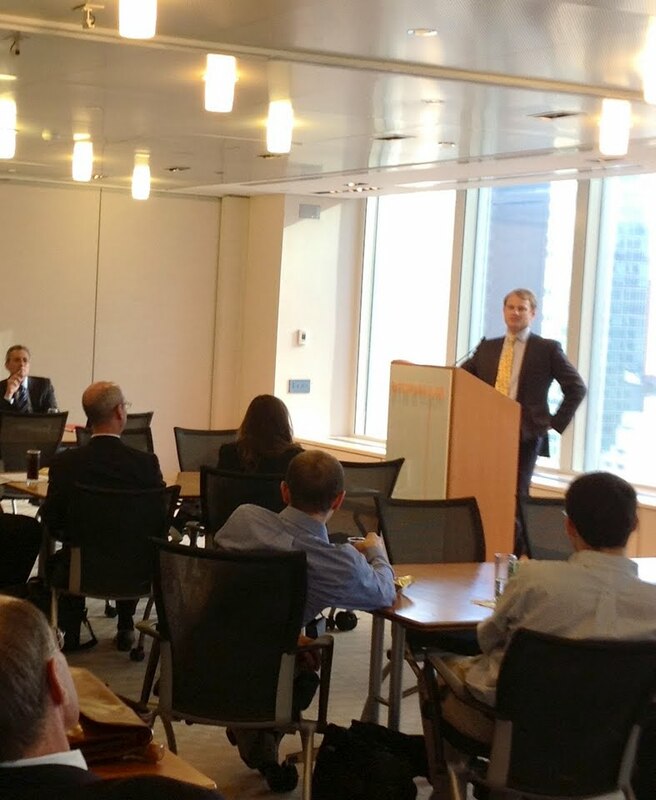 On June 27, Frazer convened a select group of thought leaders from the banking, alternative investment and legal sectors to hear speeches delivered by two top practitioners in bankruptcy law and distressed asset investment: Steven Wilamowsky, a partner at the law firm of Bingham McCutchen and Jack Hazan of Hilco Streambank. 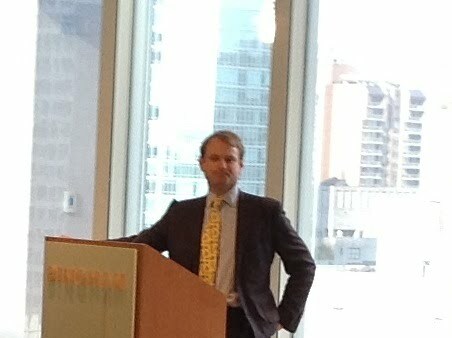 The event took place in the main conference center at Bingham’s New York headquarters. 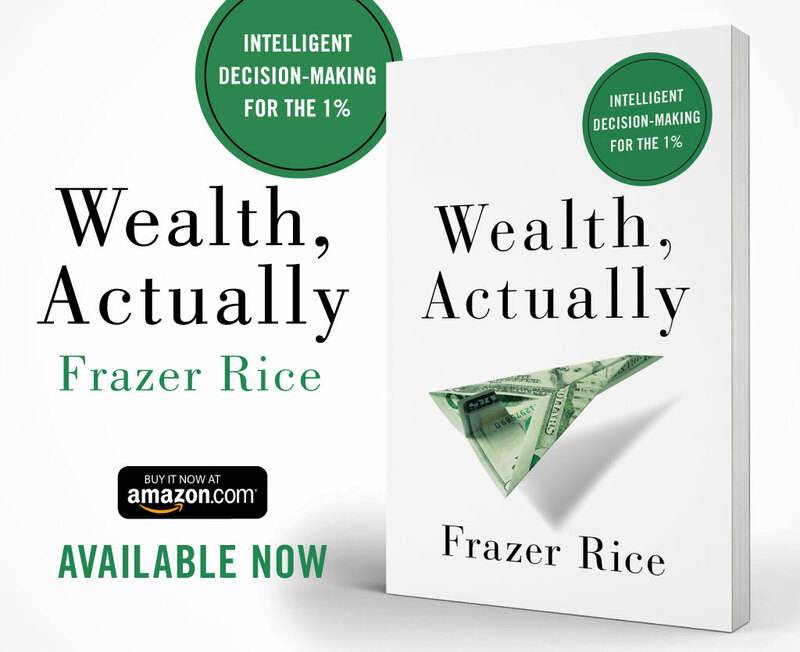 In his introductory remarks, Frazer explained how and why distressed assets can be a powerful “portfolio enhancement mechanism” for many investors but also emphasized the importance of obtaining rigorous legal and financial advice when evaluating whether or not to pursue particular opportunities. As an example, he cited the story of Wilmington Trust, which was itself a distressed asset as recently as two years ago. The bank’s subsequent acquisition by M&T Bank not only greatly increased Wilmington’s overall profitability, but also produced substantial gains for M&T. As Frazer noted, it was precisely a combination of careful planning and close cooperation that made this positive outcome a reality and has allowed both institutions to produce consistently improving results for their clients. 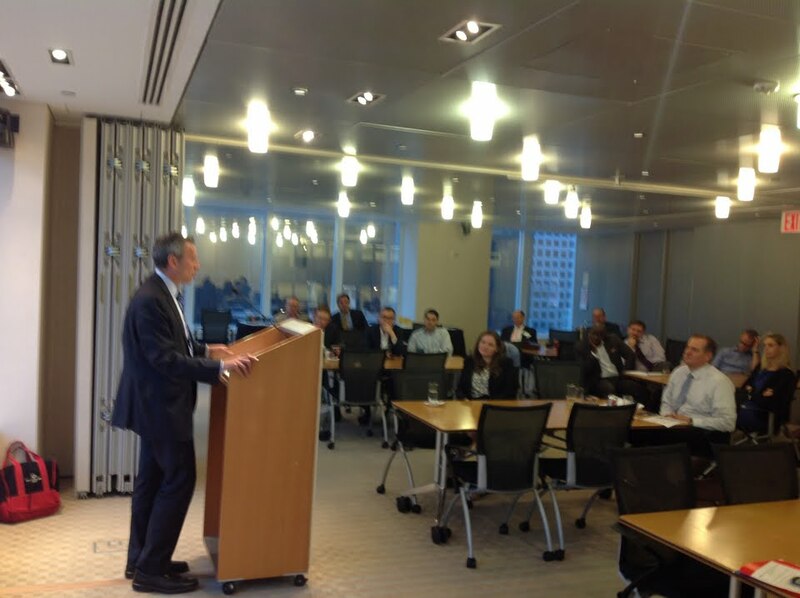 Mr. Wilamowsky, the evening’s keynote speaker, then addressed the audience about the most significant legal issues pertaining to distressed asset investing. Mr. Wilamowsky then turned to four specific topics: (1) the “Classic Reorganization Paradigm,” (2) The “Going Concern Paradigm,” (3) A set of “core” legal issues investors should understand in order to increase their upside potential; and (4) The most common pitfalls to be avoided. In terms of maximizing upside, he explained the particular benefits of the “Going Concern Paradigm” – a model in which the underlying asset is sold “free and clear” (usually at auction) so that creditors can quickly realize cash value while the business remains able to operate without being burdened by the stigma of bankruptcy or distracted by fights among creditors. As with any type of investment, however, there are always risks and Mr. Wilamowsky went into significant detail explaining a handful of the most common “danger areas” and why each demonstrates the necessity of closely coordinating with high quality financial and legal counsel. Among the most the crucial downside issues investors ought to understand before engaging in a distressed asset transaction are: the risk of winning an asset at auction only to discover you’ve paid an unacceptably steep price; inheriting a particular asset’s underlying liabilities such as environmental contamination, easements, third party claims or ongoing government actions; and failing adequately to understand whatever underlying problems led to the asset’s distressed state in the first place. Mr. Wilamowsky concluded, however, by stating that distressed assets can absolutely represent outstanding value for certain investors as long they perform thorough due diligence. Mr. Wilamowsky was followed by Mr. Hazan, both a bankruptcy attorney and banker, who now specializes in the area of distressed intellectual property acquisition. 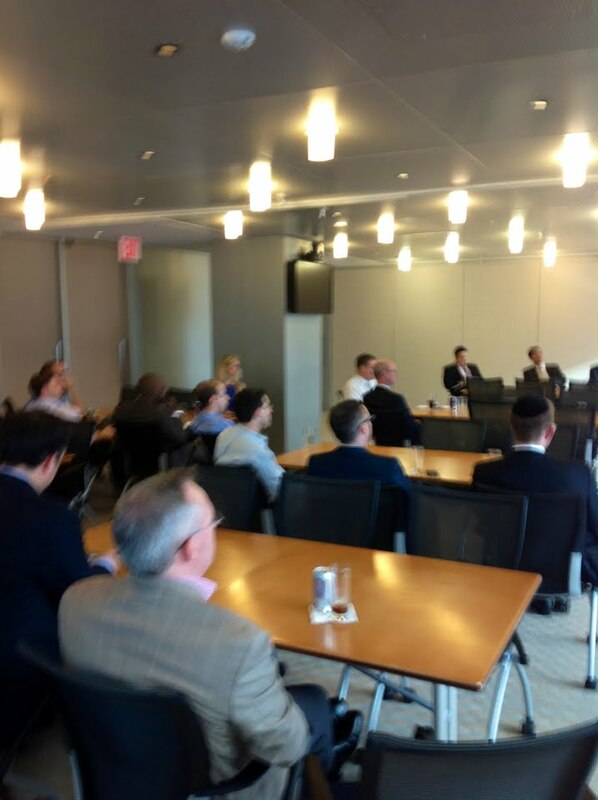 Mr. Hazan described a number of unique distressed asset opportunities including: the markets for IP addresses, website domain names, as well as corporate names and logos. He also recounted his personal story of serving as General Counsel for “Nobody Beats the Wiz” during its bankruptcy proceeding – an experience that ultimately altered the trajectory of his career and inspired his interest in bankruptcy law. 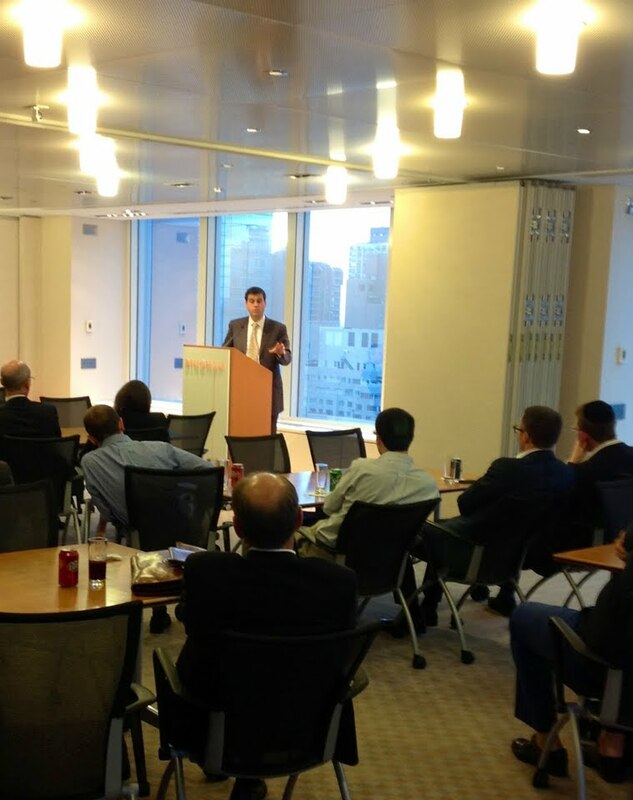 Mr. Hazan’s various anecdotes also illustrated why it’s so important for investors not to miss out on easy-to-overlook “arbitrage events” – in particular, those that exist for only relatively short periods of time – as is frequently the case with intellectual property. Distressed intellectual property investments can create exceptional returns, Mr. Hazan declared, especially when groups of smaller assets are creatively bundled together. Finally, Frazer concluded the seminar by thanking both speakers and inviting any guests interested in continuing the dialogue to join him for drinks at the nearby Rothmann’s Steakhouse. And although everyone knows that what happens at Rothmann’s stays at Rothmann’s, let’s just say that’s not the sort of offer people generally refuse . . .